How do the massive changes from 2015 (and the 7 changes in 2017) affect me? Who can use creative strategy and timing methods to get more from their hard-earned benefits? What are some ways to combine Social Security and my retirement savings to optimize my income? What are the key mistakes to avoid that could reduce my lifetime benefits? Why doesn’t Social Security have any employees ready to advise me on my benefits? Why is it important to reduce risk in my portfolio in order to maximize Social Security? What role does Social Security have in helping me be better prepared for increasing health care costs without an expensive long-term care policy? How can Social Security decisions affect whether or not I leave more of my life savings to the government? 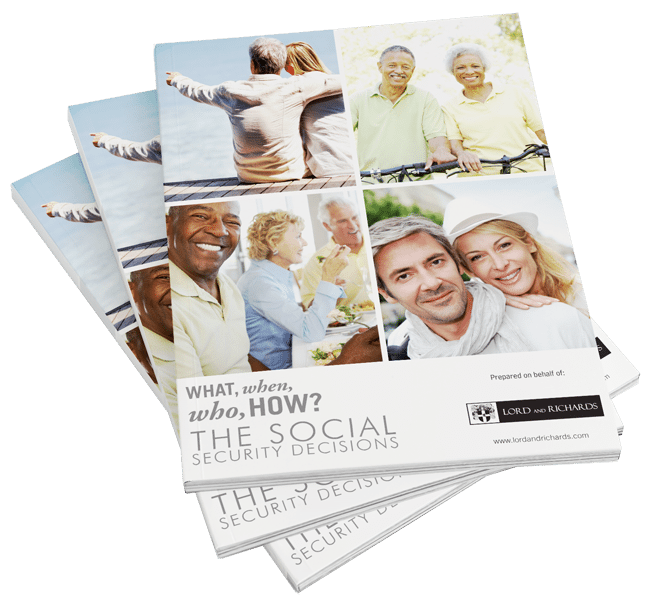 How can I incorporate Social Security strategies into a comprehensive income plan to become financially independent in today’s volatile world? What decisions has Congress and the new administration made that could impact my benefits? Fill out the form or call our office to register for this event. Seating is limited. Investment advisory services offered only by duly registered individuals through AE Wealth Management, LLC (AEWM). AEWM and Lord and Richards are not affiliated companies.